And are they really a deal? AMD is launching Radeon RX Vega on August 14 with an unusual new “Radeon Pack” scheme designed to get you all-in on the AMD ecosystem—and ostensibly combat mining-induced graphics card shortages. Spending that extra cash gets you numerous goodies and discounts. Right off the bat, you’ll get two “free” games for your $100, worth $120 at retail. AMD is pitching bundles with Prey and Wolfenstein II: The New Colossus after partnering with Bethesda, but says the exact titles can vary by region. More on that later in the fine print section. 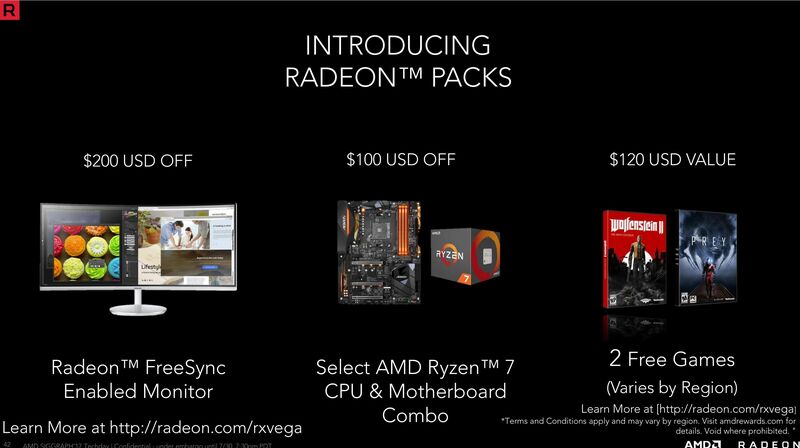 The rest of the Radeon Pack perks are optional. If you buy a $350 Ryzen 7 1700X or $420 Ryzen 7 1800X processor with one of three high-end motherboards—the unreleased Asus ROG Crosshair VI Extreme X370, the $210 Gigabyte GA-AX370-Gaming K7, or the $260 MSI X370 XPower Gaming Titanium—you’ll get $100 off the combo. You’ll also receive a $200 discount if you choose to buy the $950 Samsung CF791, a gorgeous curved 34-inch FreeSync monitor with a 3440x1440 resolution, 100Hz refresh rates, and quantum dot tech. It’s a decent offering… if you plan to build a high-end Ryzen gaming rig from the ground up, want to play those specific games, and are willing to spend $750 (more than the cost of Vega itself!) on a monitor. If you’re not interested in the monitor, or at least the games and the Ryzen combo, you’re not really saving any money after the Radeon Pack’s $100 upcharge. And to get every deal in the RX Vega 64’s Radeon Black Pack, you’d need to spend at least $1,810 in total—after the applicable discounts. The full Radeon Packs are only available in the U.S., Canada, Australia, and Singapore. Buyers anywhere else in the world won’t receive the discount on the swanky FreeSync monitor, making the bundles even less appealing. People in Germany, Austria, or Switzerland will receive Sniper Elite 4 rather than Wolfenstein II. And unlike traditional gaming bundles, you won’t receive a voucher or coupon to claim the Ryzen and FreeSync deals after purchasing Vega. 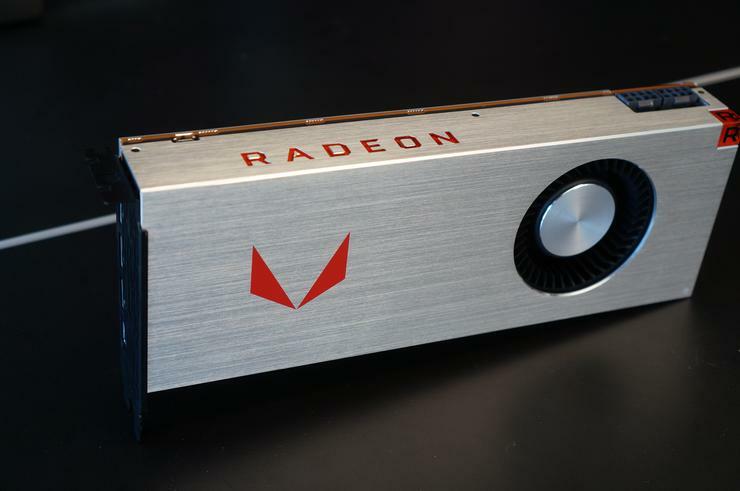 Instead, the discounts will be instantly applied to the applicable hardware once you’ve added a Radeon Pack edition of the Vega graphics cards to your online shopping cart. You need to purchase your Ryzen 7 chip, X370 motherboard, and Samsung monitor at the same time as the RX Vega to receive the deal. Hope your bank account can handle it. Be sure to buy your Radeon Packs from authorized retailers, in other words—simply clicking the Amazon links we embedded above might not do the trick. Head over to AMD’s RX Vega website for the nitty-gritty on where you can buy the bundles. So are these really a deal? It depends. I can’t help but be disappointed that the bundle discounts only include extremely high-priced hardware. These RX Vega Radeon Packs would’ve been much more compelling if they included options for Ryzen 5 chips (or at least the more affordable Ryzen 7 1700), cheaper but still potent B350 motherboards, and a monitor that actually takes advantage of FreeSync’s pricing advantage versus G-Sync displays. These packs neglect the flexibility of AMD’s full hardware lineup. With the deals limited to luxurious hardware, it doesn’t really feel like these Radeon Packs are truly designed to welcome you to the AMD ecosystem. 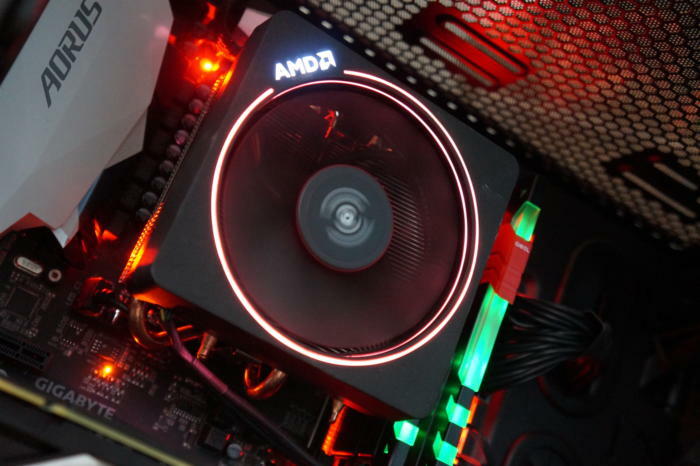 Instead, they feel more like the company’s attempt to pocket an extra $100 on the sly in a time when coin miners have driven graphics card prices through the roof, even though AMD says the extra cost is designed to fight back against cryptocurrency farms. Miners aren’t afraid to pay an extra $100 if the return is worthwhile. But with GeForce GTX 1080 prices slowly starting to return to earth, it’s a bold gamble—though Nvidia all but did the same by limiting that card’s launch to pricey Founders Edition cards at a $100 mark-up way back in June 2016. Stay tuned for the PCWorld review.